Have you ever wondered what exactly the human race would do if we ever came across other species in the far reaches of space? We as humans have yet to colonize any other planets or even reach the end of our known galaxy leaving the argument continuously open for debate as more of a theoretical construct. But what if the idea becomes a reality? 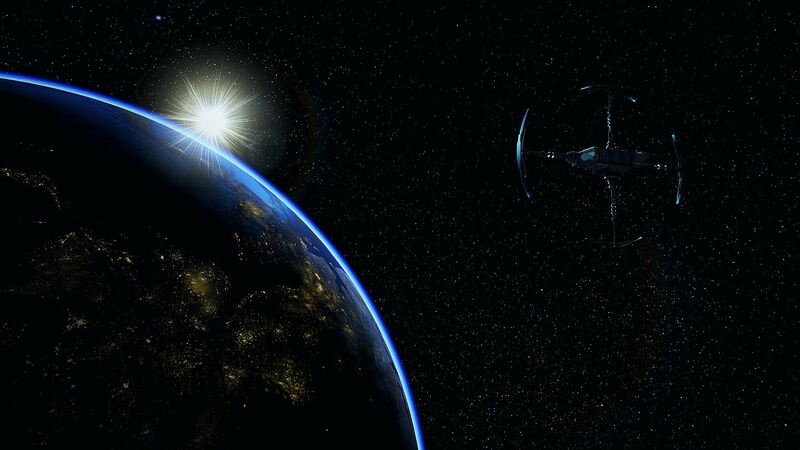 Would will we rise and immediately and take arms against the alien race, treating them as hostile entities? Or would we attempt to hide in the shadows of space and study them closer? The developer, The Station Game, shows us the idea of this fantasy turned reality. When an alien race discovers humanity spying in on them, how will they retaliate, and of what consequence? Welcome to The Station, a first-person narrative mystery game. You play an unnamed recon specialist sent to investigate the Espial, a massive space station hovering just outside the orbit of an unidentified planet. Communication with the crew has been lost. Even worse, the stealth systems that allowed the station to remain cloaked have malfunctioned revealing its position to the world below. Your mission upon docking is to locate the three crew members aboard the vessel and extract them before the mission becomes compromised. You’re unarmed and unaware of the status of the crew. The fate of the crew and of the world is in your hands. The Atmosphere – The strongest aspect of the game for me came from the atmosphere. The darkness in corridors and uneasiness of various sounds in the distance left me panicked with what could potentially jump out at me. The shadows and lighting do a fantastic job of advising me of things happening out of sight behind my character. It gets to a point where you become nervous about turning around or walking out a door. The feeling would dissipate, and I’d let my guard down only for something else to occur later bringing me right back to that state. The atmosphere is wonderful in the sense that it makes you feel as if you’re in the moment but doesn’t overstay the welcome to where you can’t continue. Puzzles – There are a few different puzzles in the game, and the answers to most are in plain sight. Others would have me doing a bit of sleuthing to find the answer but nothing too complicated that it would put me at a standstill. Some are even completely optional and don’t need to be completed to finish the game, though some story elements could be missed. The most intriguing puzzles for me came in the form a 3×3 set of dots that needed to be connected in a certain pattern to unlock a door. In most cases, if you can’t figure out what to do there is a subtle hint nearby to push you in the right direction. It would have been nice to see more variety in the puzzles, but I’m pleased with what was presented regardless. Reading – Most of the story presented in The Station comes from the various audio log orbs scattered throughout. It’s no surprise also that a lot more can fill you in from various reading materials. Documents and random notes can be found all around. 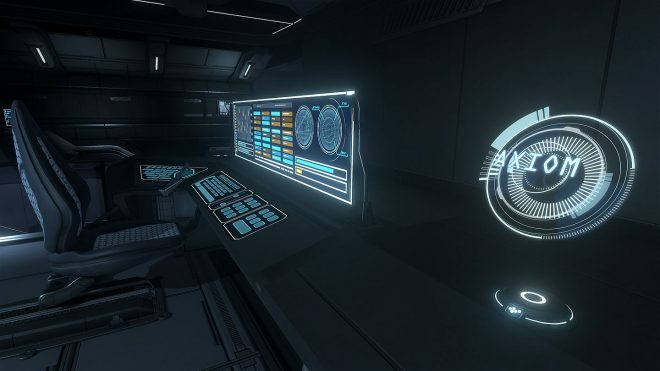 Computer terminals for each of the crew allow you to view emails, notes and instant messaging chats. I found a lot more of the details and the background came from the optional reading material and less from the audio logs. Yes, a lot of games do exactly this. The difference with The Station is that one wouldn’t have the full story unless they go the extra mile and read and examine everything. 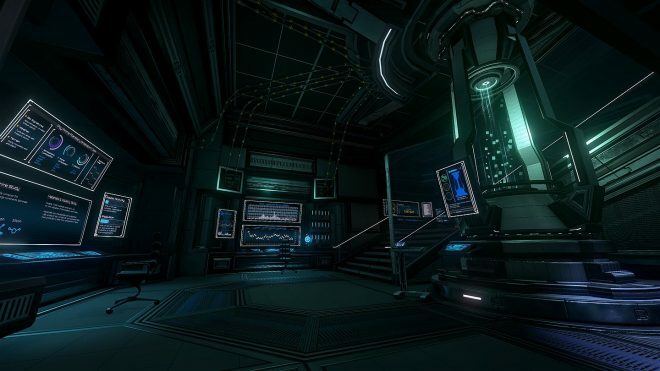 Augmented Inventory – The game does it’s best to stress that you are aboard a futuristic setting from the audio logs that are floating around to the robots that help the ship to remain functional. The Augmented Reality Inventory Display available at the press of a button is a more live interactive way of working your inventory. At first, I was confused on how it functioned, trying to press various buttons to move along the tabs on the display. The inventory screen is almost like a giant touchscreen. You move your crosshair to what you want to go to and press the activation button and it switches to that tab. Viewing your map, looking at what items you’re holding and even your current objectives are all stored in this screen. The niftiest part of it is that you can open it in a certain place and continue to walk around an area while it’s open which seems most useful when trying to follow the map. 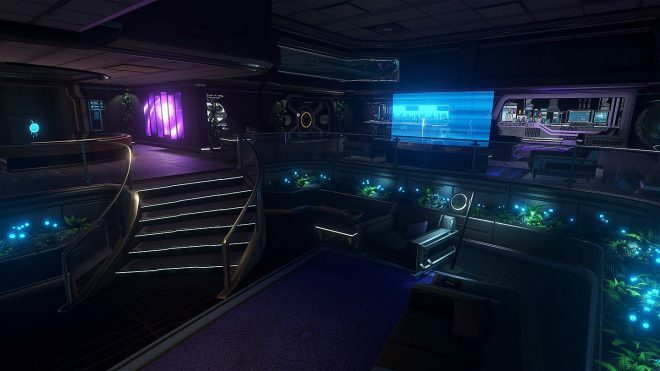 Very Short – Despite exploring every room of the ship, I finished the game a little over an hour and a half. The only tasks I hadn’t completed pertained to opening one of the crew members lockers and finding the key to the science wing of the ship. Both of the tasks went hand in hand. After completing one task, I immediately discovered the means for completing the other. After that, there’s really nothing left to do or explore in The Station. It’s a little disappointing. The Station appears larger from the opening cutscene when we are flying in but its a lot smaller on the inside. The very short play time can really be hard for some to justify the $14.99 asking price of the game. Without the atmosphere and the narrative-driven story, The Station would be a completely different game. The darkened corridors help the game to feel fearful while the ambiance of the different distant sounds help keep players feeling uneasy. The various puzzles help to push the game away from feeling repetitive. The various reading materials scattered about give players a chance to play detective to what has happened. The overall short play time the game has to offer can be a deal breaker for many, but to those who are looking for a game with an interesting mystery style story with some sleuthing and brain work from basic puzzles, The Station may just scratch that itch. The Station was developed and published by The Station Game. 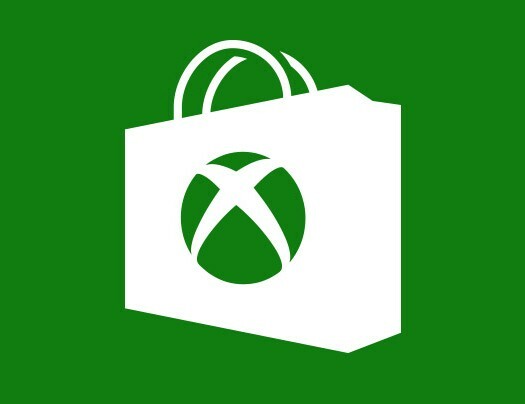 The game released on February 19, 2018, for $14.99. A copy was provided for review purposes.